Join Bama in Atlanta Today! Click the Peach logo below to join! Must present membership card for discounts. Tide Treasurers gives Bama in Atlanta 10% of purchases to scholarships. 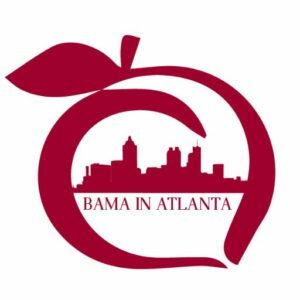 Please enter Bama in Atlanta in the chapter location box at check-out when purchasing merchandise on the Tide Treasures website or mention the Bama in Atlanta Chapter at events where Tide Treasures is present. With questions about membership please contact Membership Chair, Jake Elder.